Guns.com is a Federal Firearms Licensee and offers money for guns you’re looking to sell. Get paid fast for guns you don’t want or use. Guns.com has created a new service for the members of our community. If you have a used firearm you have been looking to sell, submit it to us and if it fits our needs, we will make you an offer. If you like the offer, we’ll send you a box and prepaid shipping label — all you have to do is drop it off at the designated shipping location. Our appraisal team will inspect the firearm, and issue you a check for the agreed upon price if the firearm is in working order. Guns.com will respond to every submission within 1 business day, and we will complete our inspection of each gun within 24 hours of receiving it. Our Firearm Appraisals Team has years of experience buying, selling, and trading firearms. Our appraisers have a deep understanding of gun performance and condition assessment, as well the most up to date market value of the guns we buy. We are committed to giving you a fair, competitive offer for your gun and to making sure it is in the right condition. Once your gun is received by Guns.com, our staff will inspect it for condition and functionality; upon inspection approval, your payment will be sent. All payments are sent within 3 business days of approved inspections. All offers made by Guns.com are valid for 10 business days from the date posted on the offer form. How do I ship my gun to you? Guns.com will send you a prepaid shipping package immediately. This package includes an appropriate sized box for shipping your gun, a prepaid shipping label, and specific shipping instructions. You will be directed to bring your gun to the closest appropriate shipping vendor selected by Guns.com. Do I have to use the box Guns.com sent me? Yes. Any deviation from these instructions is strictly forbidden, and is potentially unlawful. You will be able to complete this transaction entirely online. You only need to fill out the completed form describing your gun here. You will then receive an offer via email, which you can accept or decline. Once accepted, we will also ask you to email us a copy of your driver’s license so we can verify your identity. 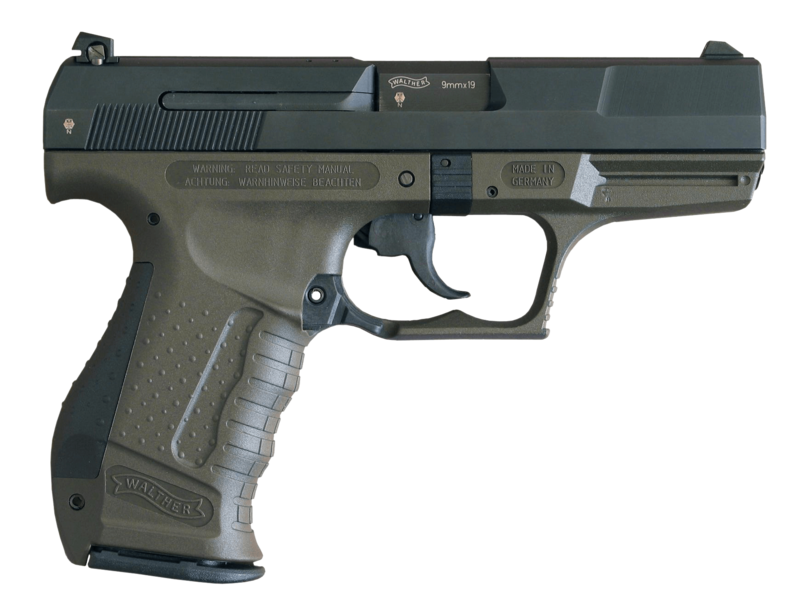 Firearm serial numbers are located on the frame or receiver. What if I can’t read the serial number? Guns.com will only purchase firearms with a legible serial number, and in compliance with all BATF, federal, state and local laws and regulations. How do I take pictures of my gun? Any digital camera, most phone camera photos are acceptable. Upload images as a saved file on the form. We need images that show blemishes, scratches, dings, as well as overall quality of the firearm. Can I sell someone else’s gun? Guns.com intends to only purchase from rightful owners of the firearm, and/or as part of their personal property – NO EXCEPTIONS. What types of guns will you buy? Most any used firearm in good quality and in working condition will be considered. However, Guns.com is not purchasing any NFA firearms at this time. Do I need to pass a background check to sell a gun? No, however Guns.com terms and conditions mandate that the seller is the rightful owner, and able to legally possess firearms. Please see Terms and Conditions for full details. How do you determine the value of my used gun? There are a variety of factors that make up the value; age, condition, and overall market in the industry are the main criteria used. What happens if my gun doesn’t pass your inspection? If the overall condition varies greatly from the seller’s description and/or sent images, if a different gun is sent from what was entered on the original form, or if the firearm was shipped to guns.com other than specifically instructed, the offer will be null and void and seller will be responsible for a return shipping and handling fee of $50. Guns.com reserves the right to deny any purchase. Why is Guns.com buying used guns? Our appraisers will be happy to assist you. You can contact them via email at appraisals@guns.com and they will get back to you promptly. Yes, your personal data is protected and Guns.com will not share your information. Where is the Guns.com FFL located?